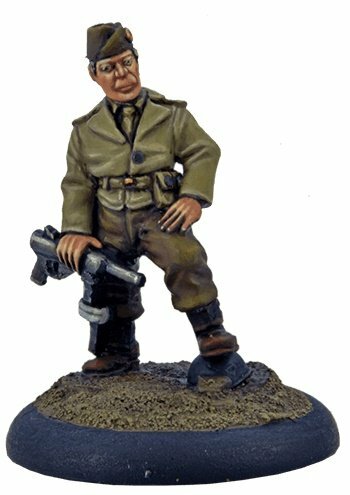 Major Riceman is a rebellious Intelligence Officer with the Airborne Infantry. After numerous incidents with the higher echelons of command, it was decided to offer him one last chance – to take groups of misfits and turn them into an elite fighting force. Tough and uncompromising in his training techniques, he is able to inspire his men just enough that they excel when under his command. A tough, merciless professional, he uses his trademark M3 ‘Greasegun’ to good effect. He and his men can usually be found deep behind enemy lines, ready to carry out special missions, often the dirtiest type you can be given, leading some of the dirtiest fighters who ever wore Allied uniforms.